When your chimney is properly working it is built to keep you safe and warm. But if your chimney lacks appropriate maintenance it will develop problems that jeopardize your safety. This is why we don’t take chimney repairs or chimney rebuilds lightly. We look carefully at the entire structure, from brickwork to interior leaks. When caught early, most damage can be fixed with a simple solution. For further progressed chimney damage, we offer partial or full chimney rebuilds. With any chimney repairs or rebuilds, our goal is always to help keep you safe. If your chimney is damaged your chances for a house fire increase. Before a chimney fire breaks out, the chimney often produces loud noises such as cracking and popping, an overabundance of thick smoke and heat, as well as an intense smell. Identifying a fire just before it happens can save your life, but more importantly you want to repair, or if necessary replace, your chimney before a house fire has a chance to spark. 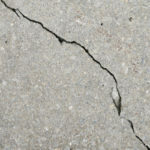 Cracked, crumbling, or otherwise damaged mortar joints. 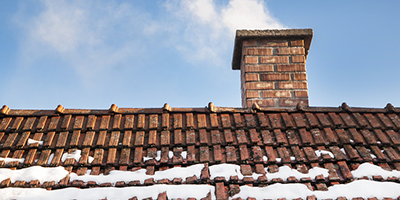 Moisture getting inside of your chimney will wear down the bricks and cause rust, which leads to cracked flue tiles. Flue tiles must be in good condition or else your chimney can’t properly regulate heat. 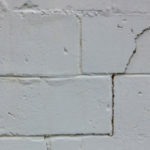 Another sign of moisture damage is if the paint or wallpaper near the chimney appears damaged. Chunks of masonry falling from the chimney are an indicator of spalling bricks. 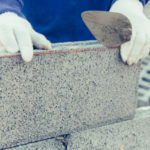 This occurs when water gets in the masonry and expands and contracts with the freezing and thawing. If this is not fixed, eventually your entire chimney will fall apart. Cracked chimney crown or chimney flue caps, both of which work as the first line of defense to keep out water. When caught early, chimney problems can be fixed without rebuilding your entire chimney. 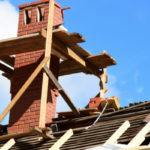 If your chimney has an accumulation of damage it may need to be rebuilt. For instance, if you notice that your chimney is leaning to one side, this is a clear indication that the structure has been compromised. Clean chimneys that are properly maintained are not dangerous, and they do not cause house fires. The problem is that not all chimney damage is easy to spot, that’s why it’s important to have annual chimney checks. If you have any doubts about the integrity of your chimney our team of professionals can identify underlying problems, providing the efficient and affordable solution you need. Turnbull Masonry can build your chimney from scratch, or simply make the necessary repairs to keep your chimney operating safely. When the cold winter arrives, there’s nothing like a smoldering fireplace to keep you warm. Allow us to help secure your comfort and safety with chimney repairs and rebuilds you can rely on.